This book assumed the ecology is the overall system that encompasses the economic subsystem. According to this assumption, the TPES flows into the economic system of a country, and after satisfaction of human needs, emits undesired outcomes into the environment. This book conducted several qunatitive approaches to analyze the overall energy system in which the ultimate loop of this system is the satisfaction of human needs. The book provided a QoL indicator as a proxy for human needs satisfaction, and then analyzed its variation against TPES (the first point of energy system) and also FEC. The results of analysis in previous chapters proposed three global energy policies with different priorities in three types of countries, developed, developing, and pre-developing. 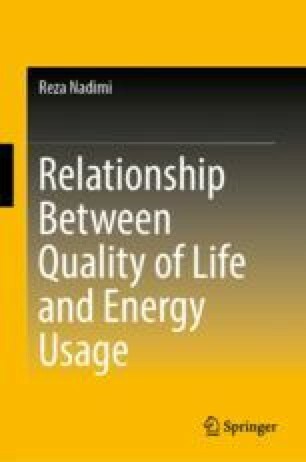 Eco-sufficiency, eco-efficiency, and energy poverty reduction were three global energy policies extracted through quntitative analysis of the existing book. Applying these three energy policies in the global energy strategy will provide sustainability in the energy generation and consumption system of the world countries which follows the energy-related golas of the SDGs. This chapter introduces smart energy systems and distributed generation systems as options to conduct three global energy policies in line with the purposes of both SDGs and the Paris Agreement. Of course, this chapter does not provide detail information about either smart energy system or distributed generation system, and just describes their mechanisms briefly, and provides various references for the enthusiast reader. Keywords: Overall energy system, smart energy system, Distributed generation technologies. Outage Management System/Distribution Management System (OMS/DMS), HANs system. MVV tested the ability of the microgrid to switch into islanding mode at Mannheim-Wallstadt Kindergarten.